Henrik Becker is a marketing automation consultant that very quickly realized that corporate clients were a much better fit for his services than smaller businesses, so he has continued to focus on serving this particular business demographic. On this episode, we will discuss how he finds his corporate clients, the reasons why he focuses on this group and some of the strategies around how to successfully work on contracts in the corporate environment. On this episode, we get to talk about what it’s like to sell to and work with corporate clients. And when we say corporate clients, that typically means companies that are bigger than what we’d normally consider a small business. They have proper departments, multiple shareholders, and tens, hundreds or thousands of employees. Companies where you’re dealing with multiple stakeholders involved in decisions. And of course, usually bigger budgets. Henrik fell into digital marketing by accident. It was a fun job to do after graduating university. Today it is his passion and his business. What started out as small copywriting gigs turned into full-fledged marketing contracts with small businesses, but Henrik wanted something more fast-paced. You can get six months to two-year contracts, but with small business you’d be glad if you could get them to sign off on a couple of thousand. At least for me that was really special. At the corporate level, sales funnels and email marketing work at the fast speed that Henrik craves for his business. Corporate clients also have a bigger budget. This could mean more work on your end when it comes to designing the contract and establishing pay rates. For Henrik, though, the extra work is worth it. In the corporate world, people have a budget. And especially at the end of the year, they are looking to get rid of that budget. Because if they don’t then next year they’ll have less to spend. So they’re eager to get it out there. Henrik shares his experience navigating the sea of corporate clients and what he has learned over the years. Building a stellar resume like this comes with its fair share of mistakes and learning experiences. Selling to and working with corporate clients is different than small businesses, and the differences Henrik shares today might surprise you. One big difference between small businesses and corporations is the sales meeting. 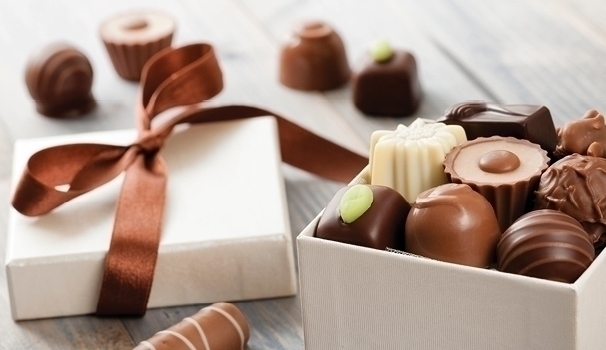 Getting in front of corporate clients can be a little bit harder than you’re used to. There are a lot of employees within a corporation, and finding the one in charge is something Henrik learned the hard way. It’s all about people. It is about finding out who the real decision makers are…The person who is in charge on paper isn’t always the person that’s in charge on the floor. If you want to stand out in front of your corporate clients, follow Henrik’s advice. Agencies can connect you with the bigger clients, but they should also be invested in your success. Look for agencies that offer certification programs or other training classes that can improve your resume and help you stand out. Freelancing can be really lonely, especially in larger corporations. You’re the freelancer, you’re the outsider. Henrik believes that certifications can catch the attention of a corporation’s internal recruitment department. When corporations start looking for consultants, they’re going to look for people who can prove that they truly have the skills they’re advertising. With a few certificates on your resume or CV, it’s going to be hard for them not to notice you. Once you catch their attention, you’re going to have to make your pitch. Henrik discusses the subtle nuances of pitching to a corporation. It’s very important to listen to the client and understand their approach. Unlike a small business, corporate clients will have well-established funnels, marketing teams, and software already in place. As a freelancer, you have to work within the established boundaries of the business. It’s impossible to get anything done if you simply walk into a corporate office and start telling people what to do. Focus on one idea at a time. I had to learn to understand where the team was at, where management was at, and then analyze my situation, take one idea, and pitch that… If you shower them in ideas, nothing is going to happen. To better understand your corporate clients, Henrik recommends getting to know the employees on your team. Even though you’re a freelancer, you can still show how important the work is to you. Be a team player, engage with the client, and build the kind of long-lasting business relationships that will sustain your freelancing career for the long-term. Building these professional relationships is the real key to your success with corporate clients. It’s important to make one person shine, Henrik says. As you get to know your team members, make sure to call one person out for their skills on your project. Henrik recommends highlighting the person who hired you. If you enjoy the dynamic of the work floor, if you enjoy working with these layers of management…it’s really interesting to get to know all these people. 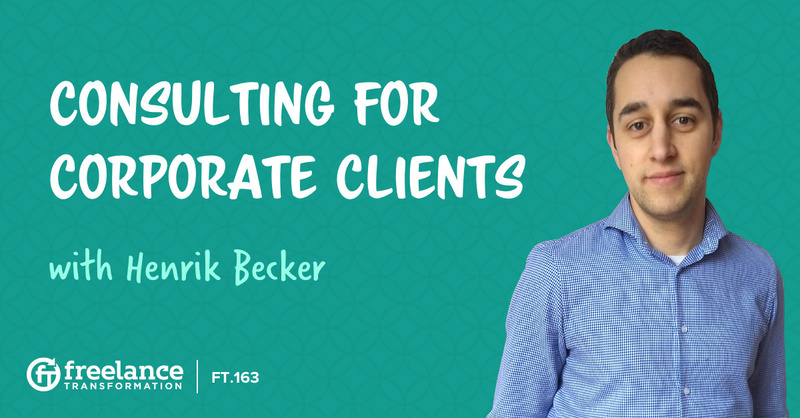 Henrik shares the three steps he uses to engage with his clients. The first is listening. No two corporations are the same. You are going to run into problems and programs you’ve never worked with before, so listen to the employees who know what’s going on. The more you listen, the more likely you are to solve their problem in the precise way that they need. Second, understand how the company works before you start changing things around. Henrik cannot stress enough how impossible it is to just start telling people what to do. There is a hierarchy and a history in a corporation that small businesses just don’t have. Understanding this history will give you the leverage you need to build a successful working relationship with a big client. Finally, identify the power players on your team. For Henrik, the marketing team is his bread and butter. As an automated digital marketer, those are the employees he works with the most. Grabbing a drink after work and getting to know his team helps him better understand the direction his client wants to take. That hierarchy isn’t always so easy to identify, but getting to know the employees can really help clear things up. Listening, understanding, and identifying the key players in a corporation will be the secret to your success with big clients like these. They may seem intimidating at first, but if you take Henrik’s advice and look at the big picture, you will enjoy the satisfaction that comes from working with clients on a corporate level.